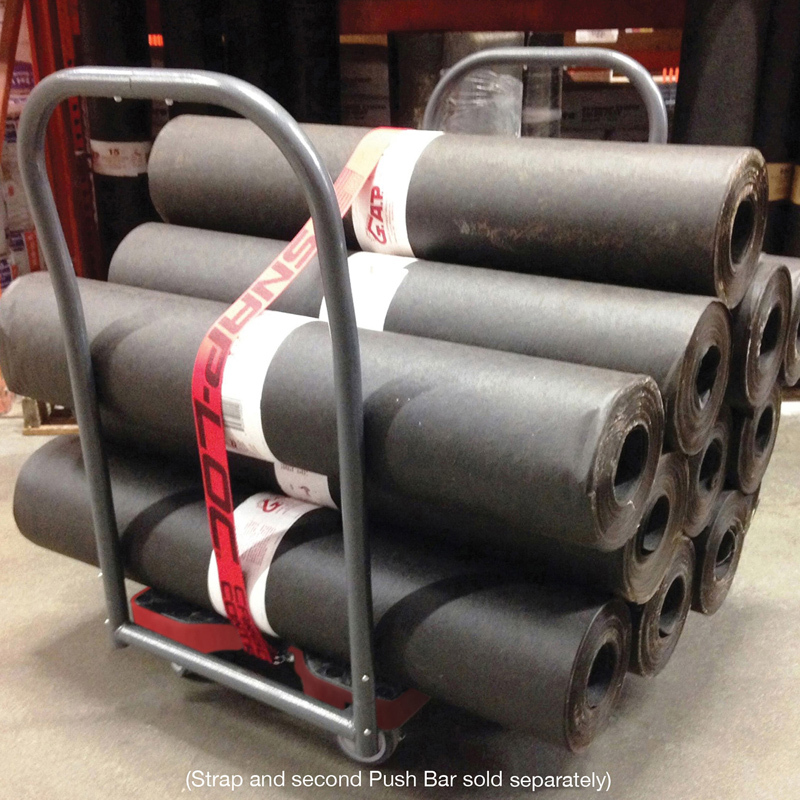 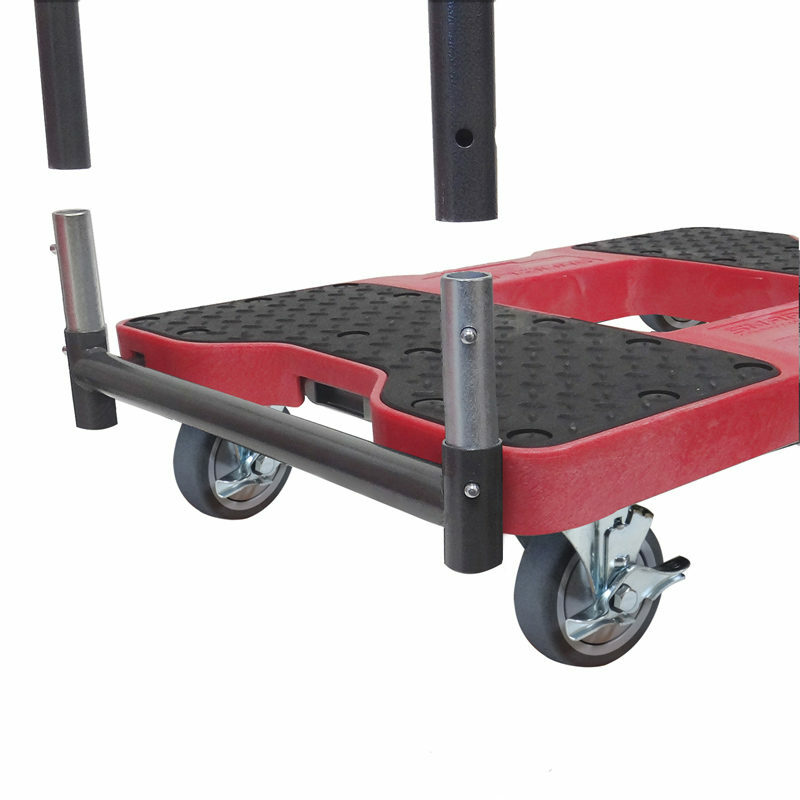 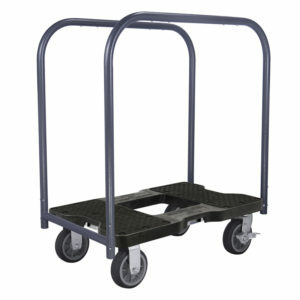 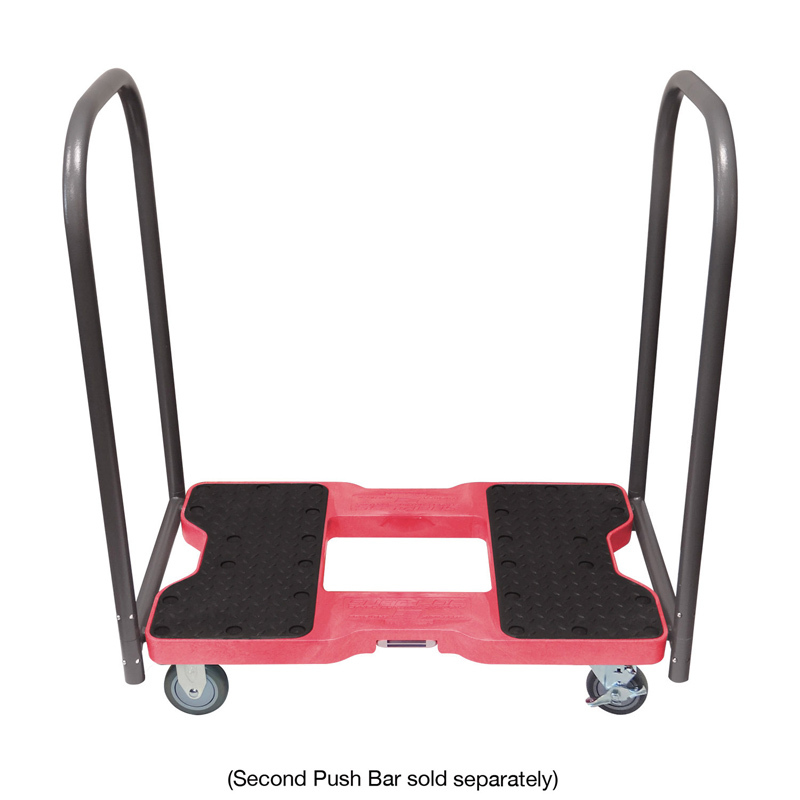 Includes 1 Dolly, 1 Push Bar. 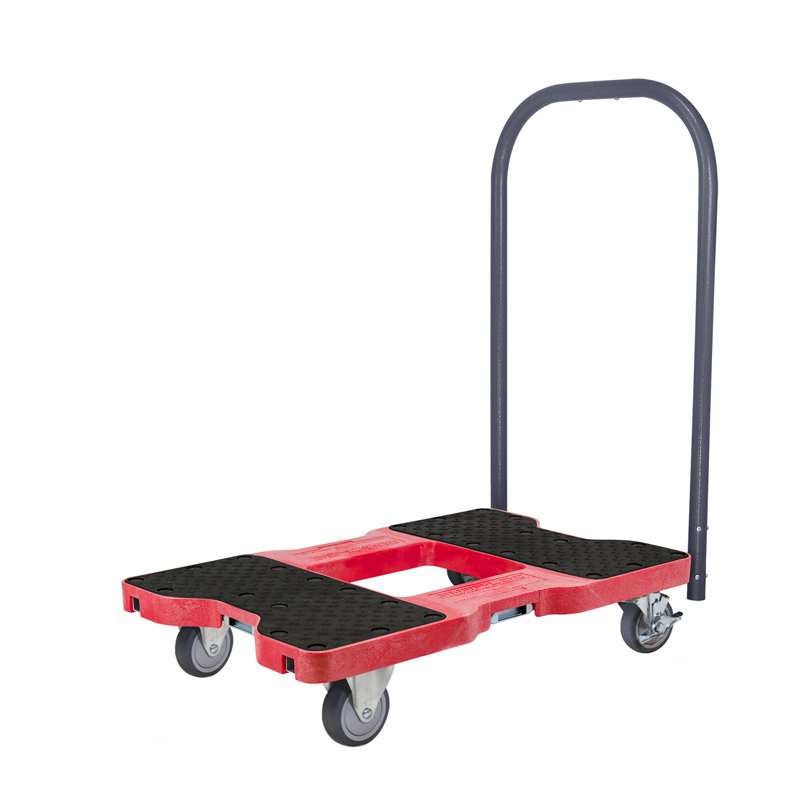 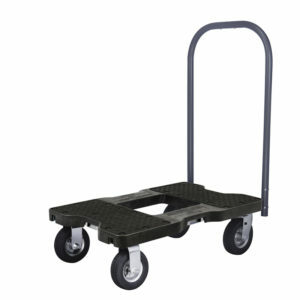 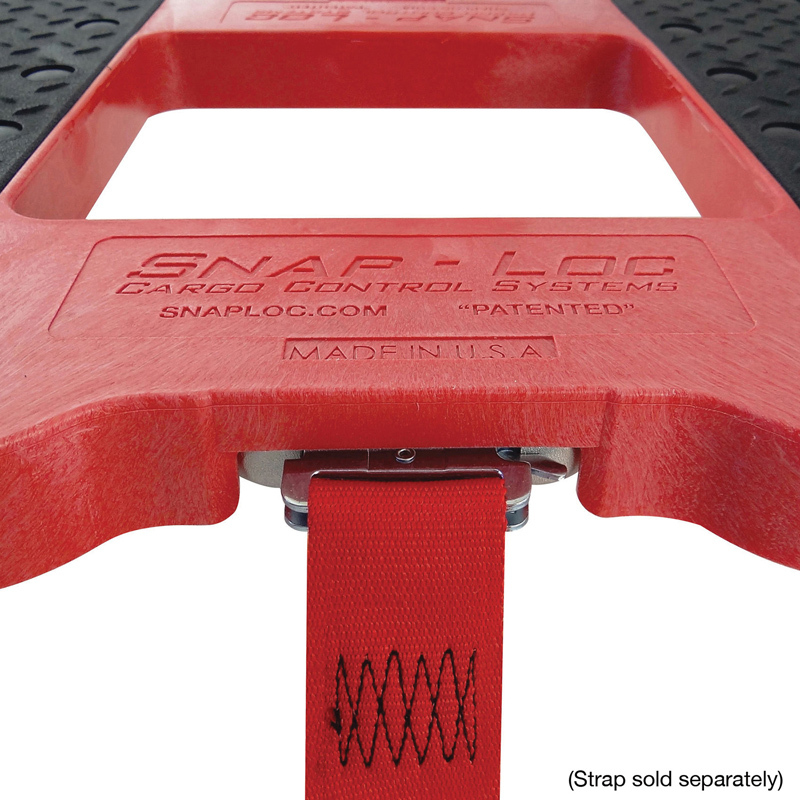 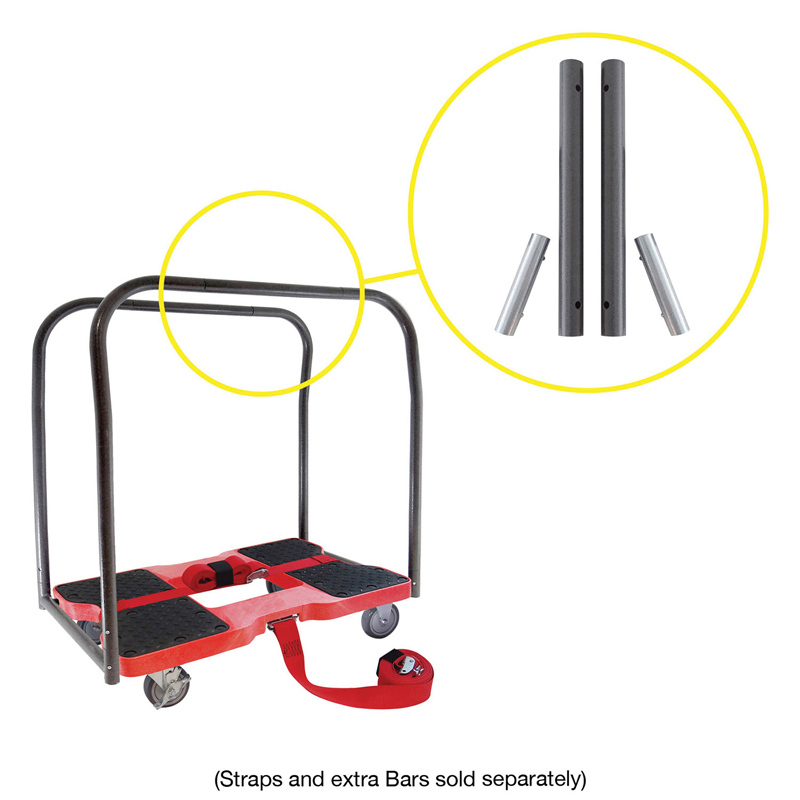 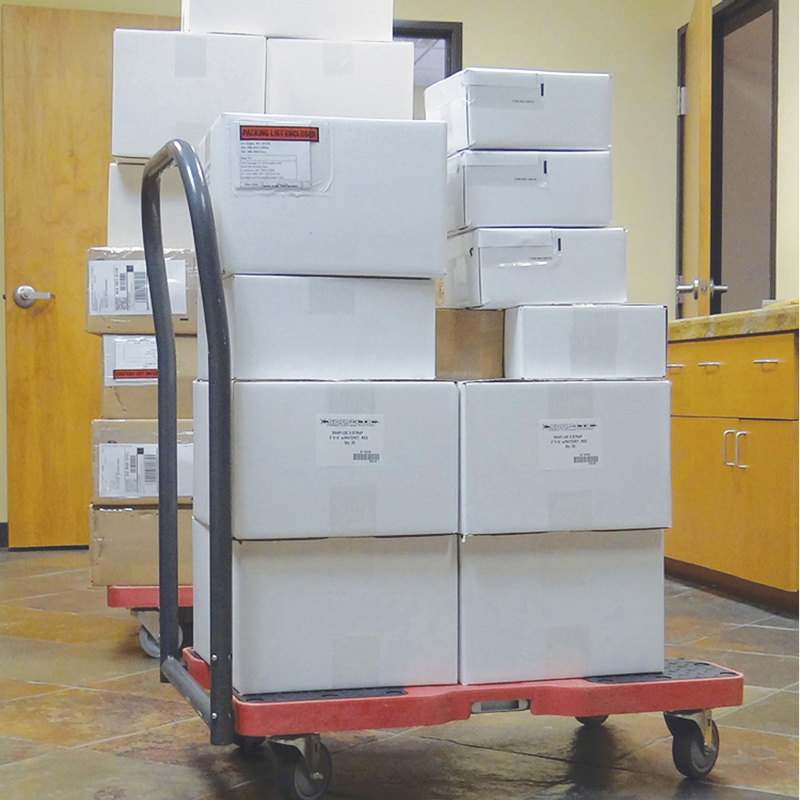 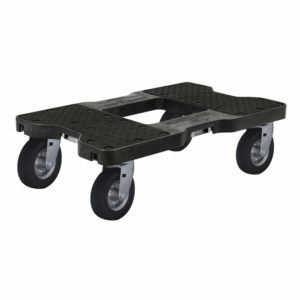 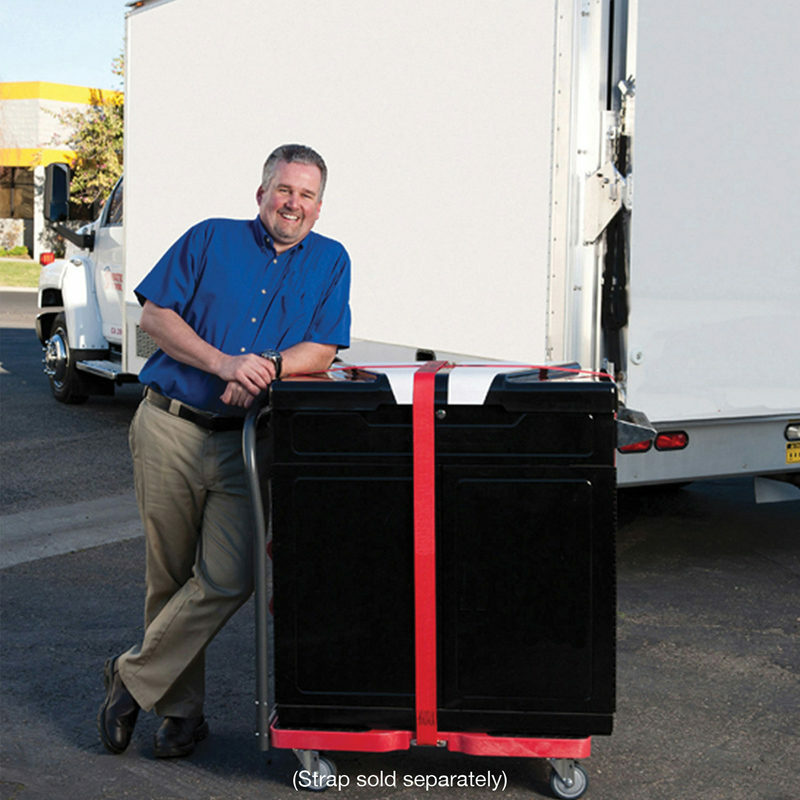 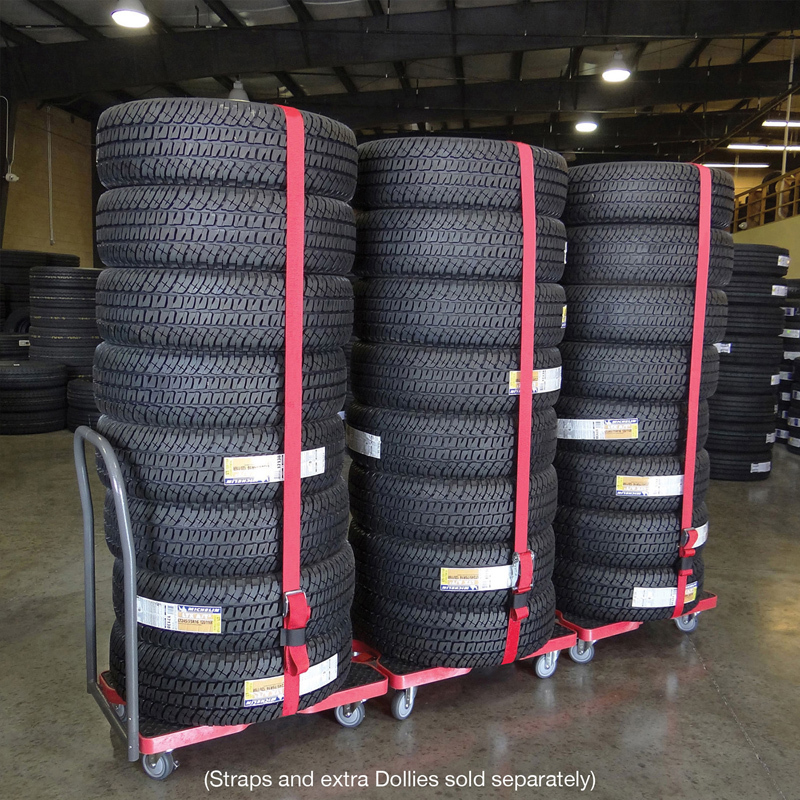 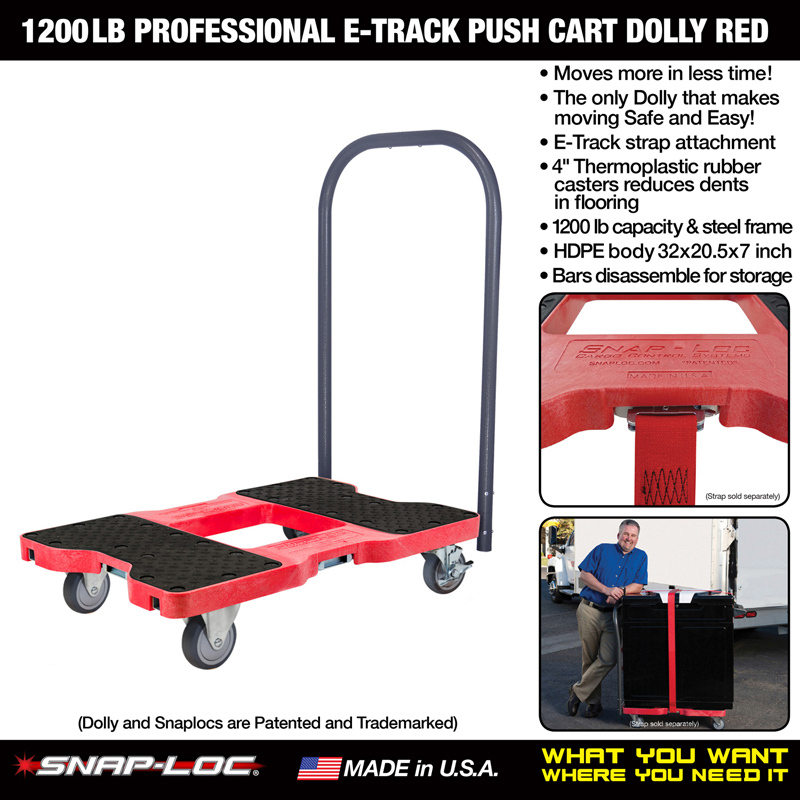 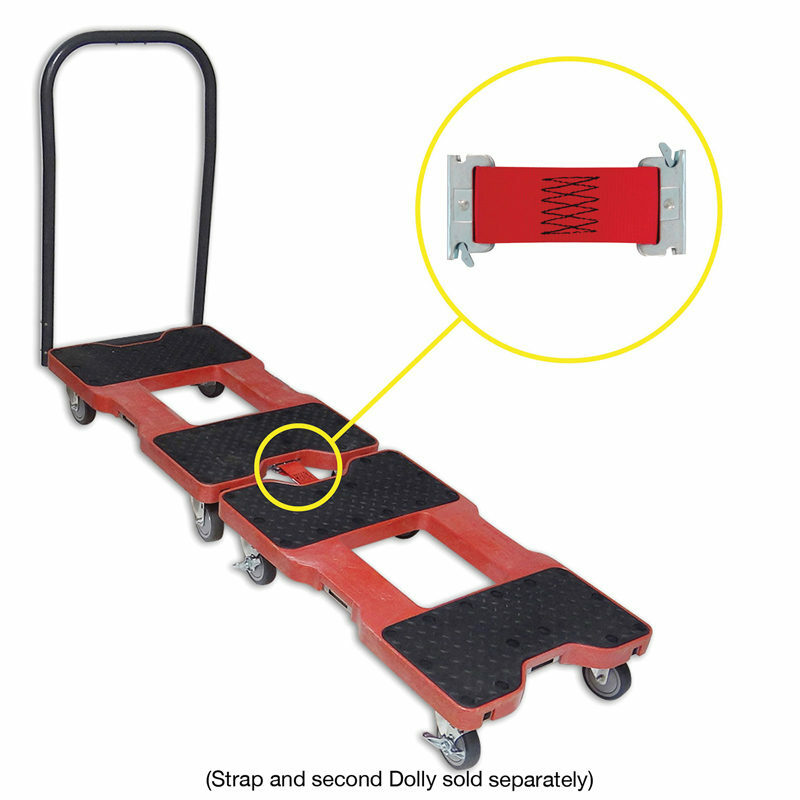 “Safely Moves More in Less Time” with easy rolling 1,200-pound capacity, removable Push Bar and optional E-Strap safety attachment! 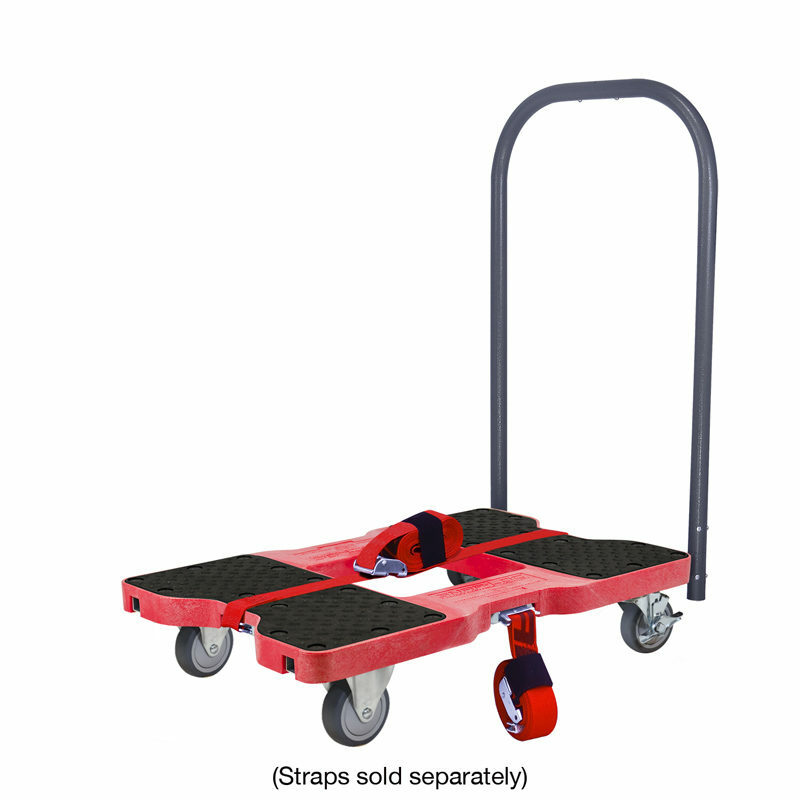 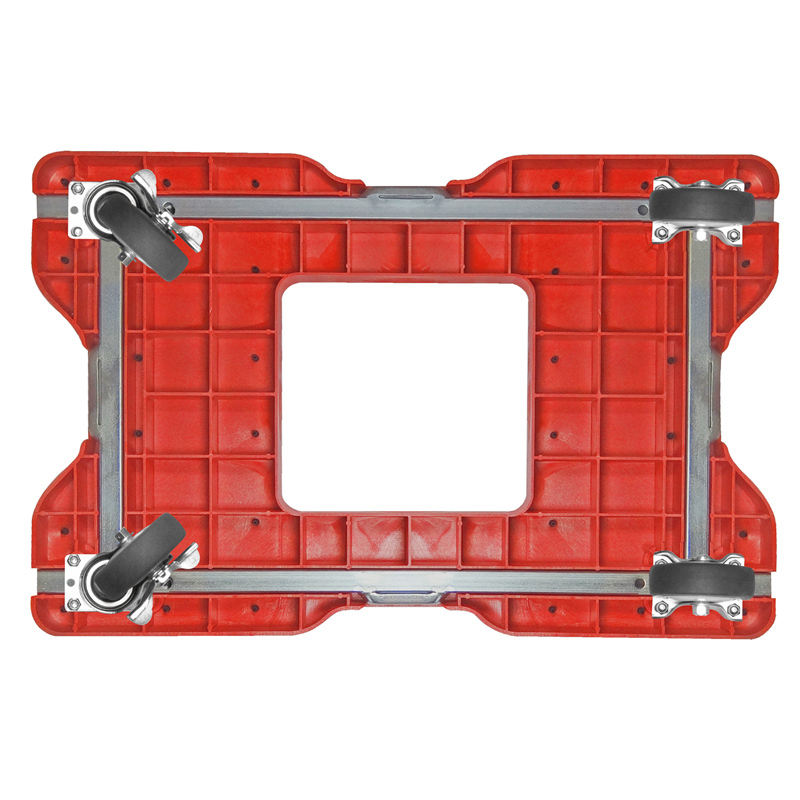 Perfect size to fit through doorways, transport in vehicles and stow away in a small space 32 inches long 20-1/2 inches wide and 7 inches tall (with bar on 33.5×20.5×38 and space between bars is 17.5).